Slogx LLC is a dynamic & result oriented, professional services company, focused on designing and implanting, original and innovative, solutions for its clients and partners. Core strengths are in the e-commerce/ e-biz arena. Need Free Web Design/Ecommerce Website Quote? Tell us a little about your business and we'll put a proposal together for you! Internet marketing is about using the Internet as another channel to market your business or organization. It's about broadening your Web visibility, attracting qualified visitors to your website and getting interested people to email or call without even needing to come to your site. When visitors do come, through on-site marketing efforts and strong usability features, you lead them to do what you want them to do. Slogx has managed to gather significant talent and expertise despite its young age. All Slogx Group personnel are experts in their respective line of work, from graphic designers to programming gurus and marketing specialists. We pride ourselves on delivering high quality service and support, in the most professional and relevant way possible. 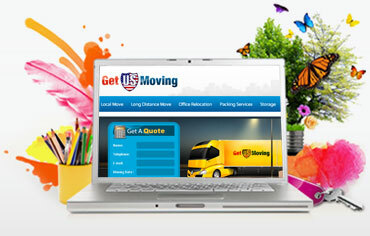 We offer a wide selection of online services, ranging from online storage for websites (Hosting), Online Presence Creation - Including Website design and implementation, online marketing campaign, to Corporate Identity Creation and re-design, which includes logo design, authoring a company vision, setting immediate and future goals and much more. SlogX has collaborated with Nativ Group (www.nativgroup.com), a well-known web-development and with Crony Infotech, one of the leading SEO optimization companies, in order to answer the growing market demands. The founders of the company have, each, years of success in the e-commerce/ e-biz arena. The-commerce/ e-biz arena is the fastest growing marketplace in today's economy. It holds almost limitless commercial potential and its target audience grows daily. It became necessary for a corporation to tap into this potential in order to survive and thrive in the today's, competitive marketplace.